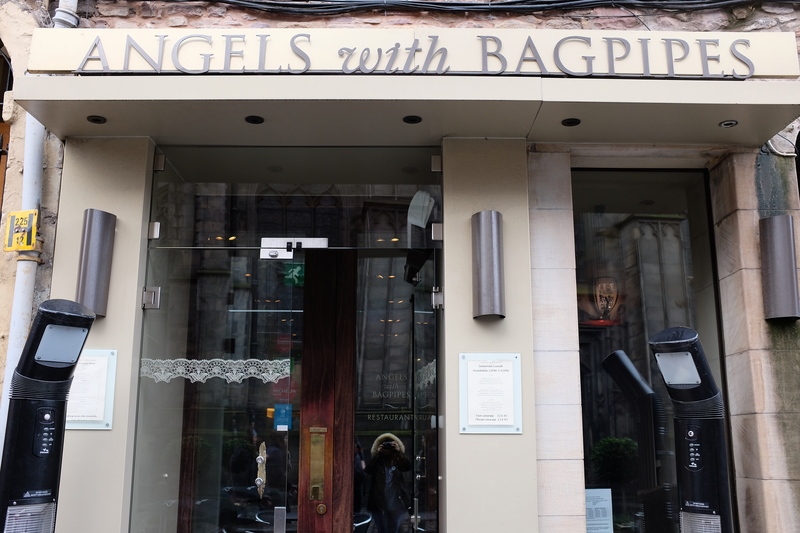 If there is one thing I clearly remember from our visit to Edinburgh, it would have to be our dining experience in Angels with Bagpipes. While we were in the city, we scouted online for a nice restaurant to have lunch in that was within the vicinity of our hotel; that was when we found this restaurant. The reviews on TripAdvisor were stellar, so we had high expectations. 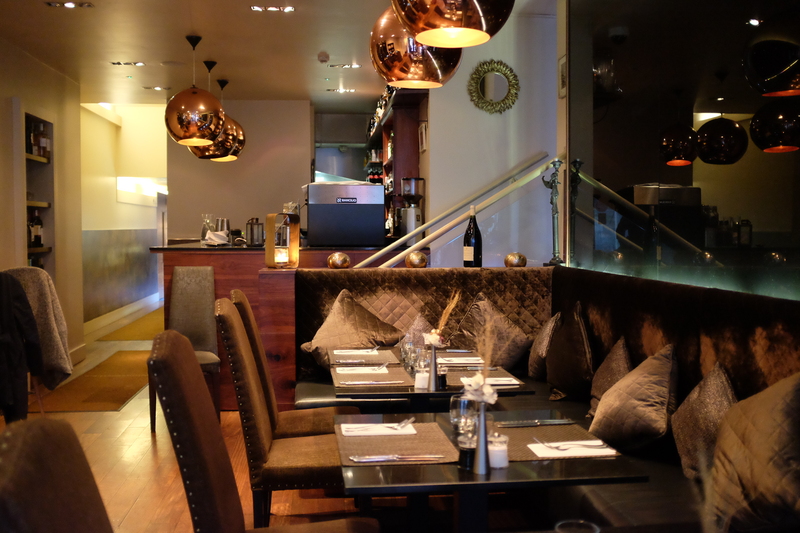 Located along the Royal Mile, right across St. Giles’ Cathedral is this dining gem. 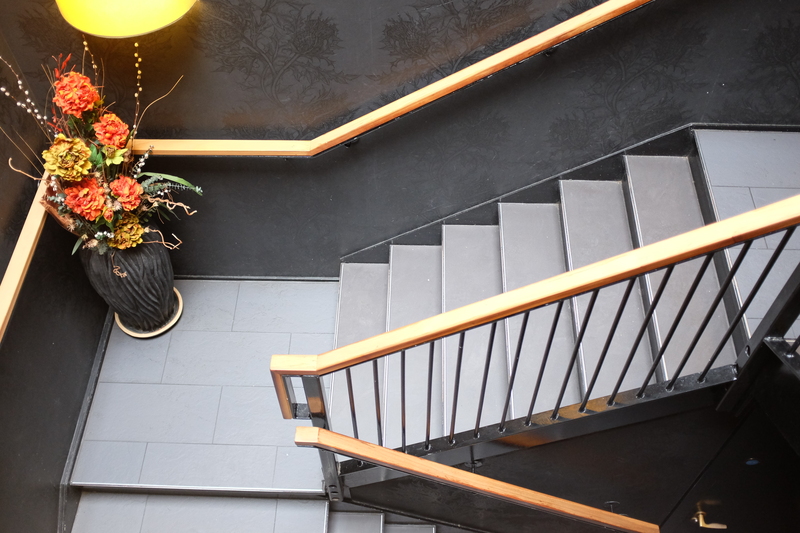 Upon entering, you’ll be greeted by a welcoming crew and warm interiors that are pleasing to the eyes. 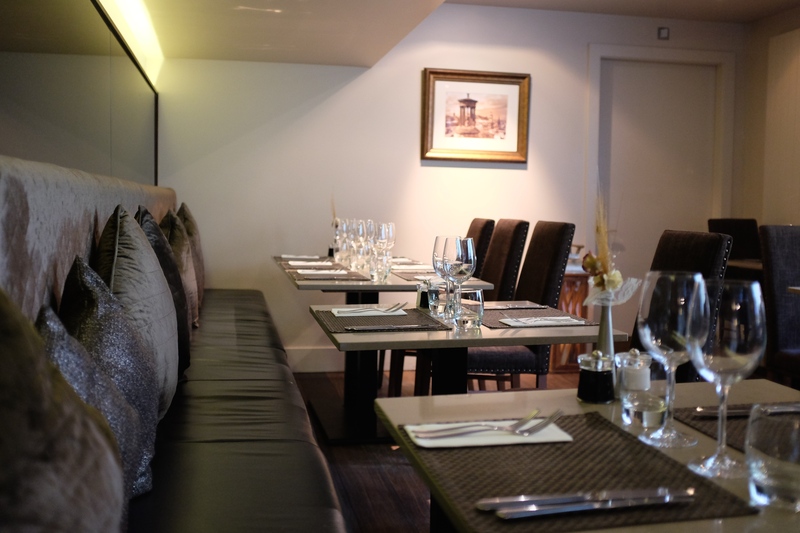 The ambiance is perfect for an intimate dinner and at the same time, a casual lunch. The restaurant actually has four separate areas to dine in: one right by the bar – which you’ll see upon entering, another within its interior that extends into the restaurant’s terrace for those who want to dine outside, Chanters – their lower dining room, and Halo – a private dining area that could seat two to four people. 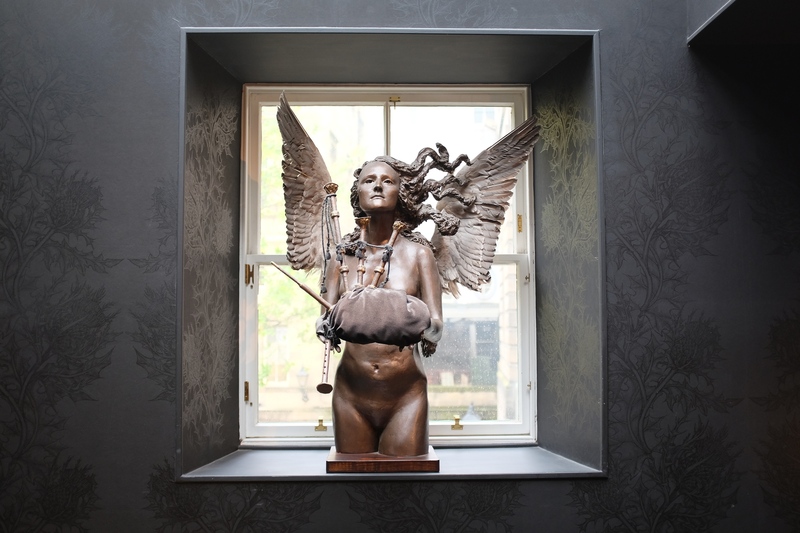 On not-so-rainy days, the tables outside the restaurant are utilized and it becomes an extended dining area for the restaurant, offering a view of the Royal Mile & St. Giles’. And on to the food! 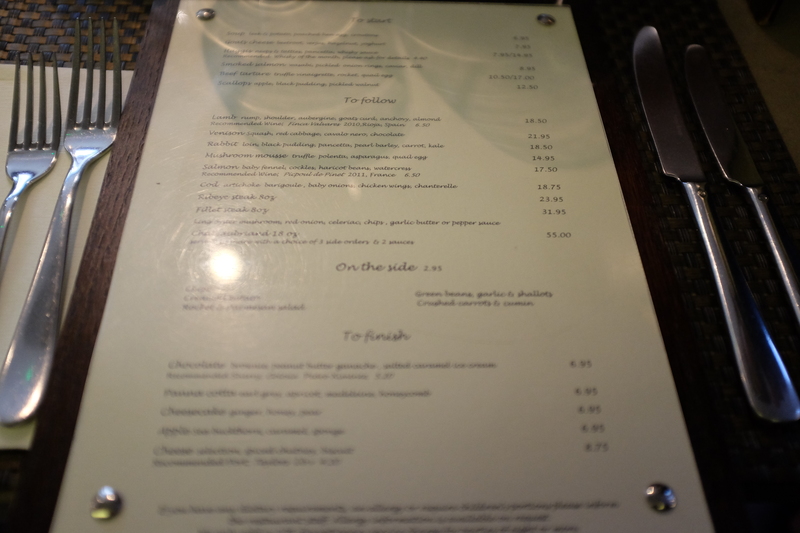 As we were looking through their menu, everything seemed so delicious. 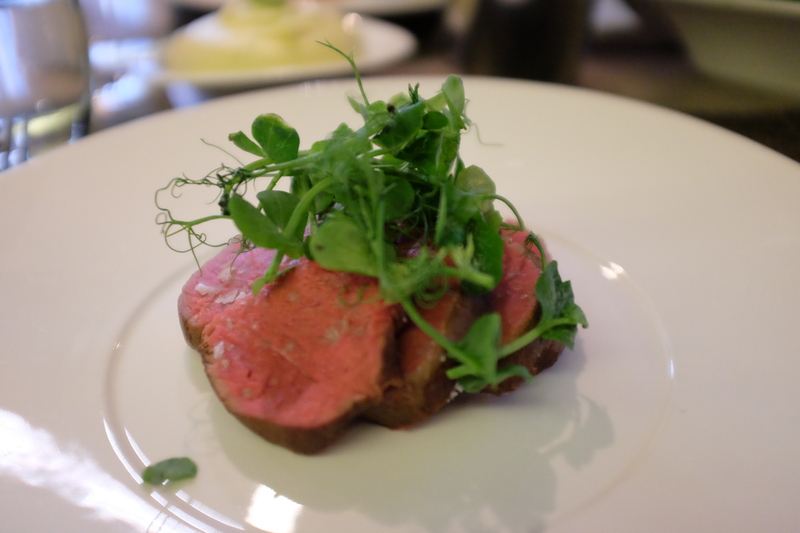 Being the meat-eaters that we are, we settled on beef dishes for both our starters and our mains. 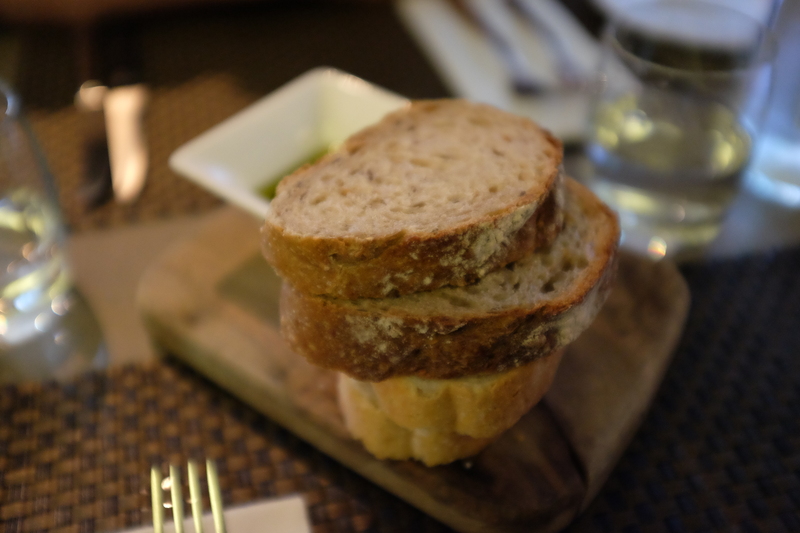 First off, we were served with freshly-baked bread paired with olive oil dip; it’s important to note that this was complimentary and was a great start to this dining experience. 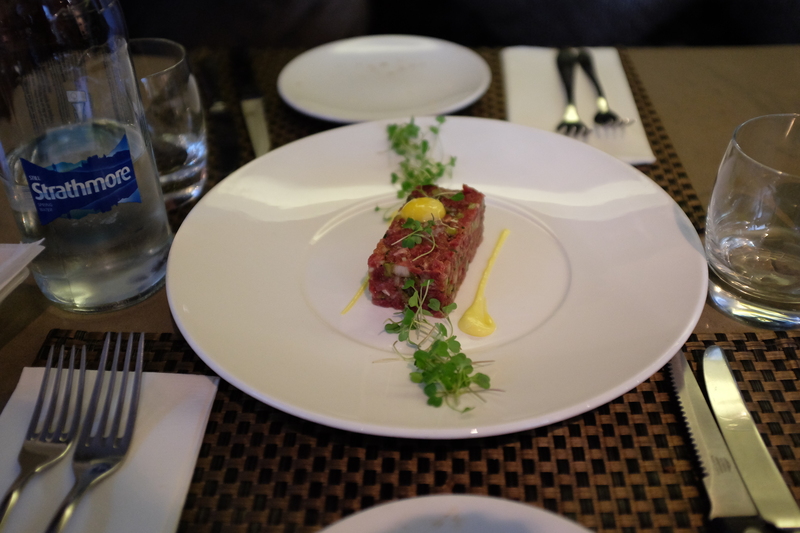 By far the best tartare I’ve had in my life – no exaggerations there – is this Beef Tartare dish that was made with truffle, vinaigrette, rocket, quail egg. Oh my goodness, as I look back, I distinctively remember the way every bite melts into a dynamic explosion of flavors. To this day, I’ve tried tartare dishes time and time again, in different parts of the world, but none have ever lived up to the one offered by Angels with Bagpipes. And now, for our main course. 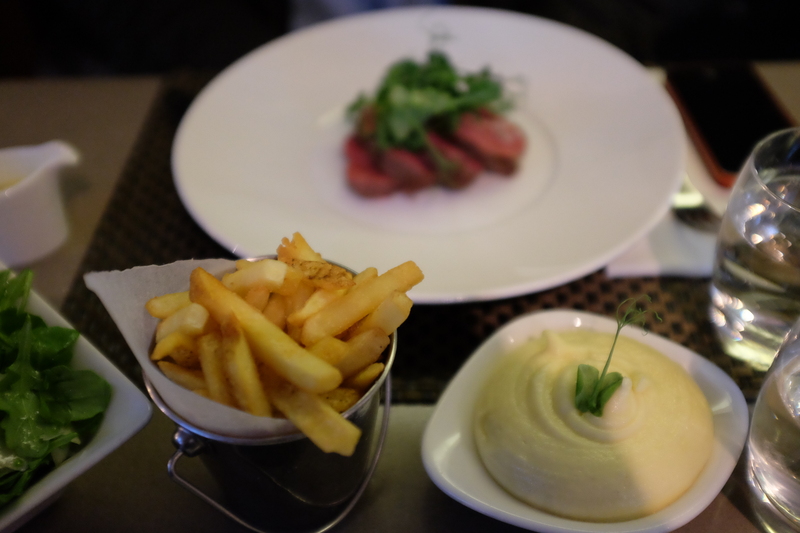 We decided to order the Chateaubriand for sharing with a choice of three side orders and two sauces. For our sides, we went with fries and mashed potatoes – and even these two minor dishes were cooked fantastically. 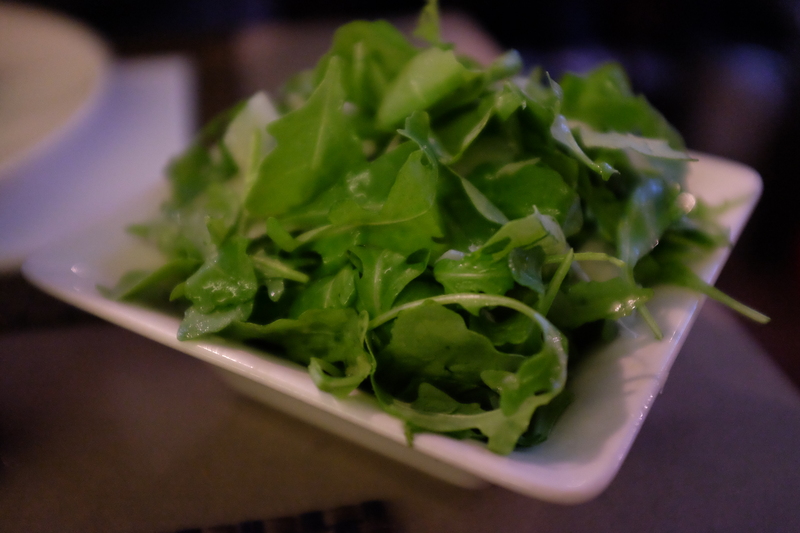 The steak was topped with Arugula and even better, was paired with an extra plate of Arugula, should you need more. It was lightly doused with olive oil and parmesan bits – incredibly delicious. As tradition dictates, our steak was medium rare and it was cooked, done, and seasoned to absolute perfection. No words can truly explain how delicious this dish was – you’ll have to taste it to believe it. To date, this stands as one of my top 2 favorite steaks, together with the US Angus Prime Rib from Cru Steakhouse in Manila. When it was time to order our desserts, we were absolutely stuffed and opted to skip it. 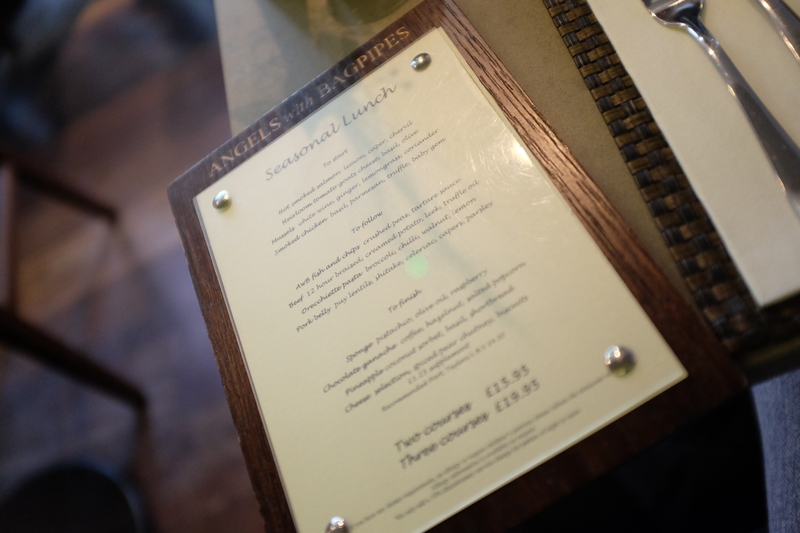 Needless to say, everything about our dining experience in Angels with Bagpipes was perfect: from the ambiance to the service and the best part: the food.